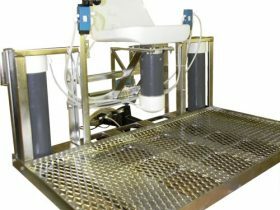 THE SIMMONS SIP-1700 INSPECTION PLATFORM meets all SIS requirements and is designed to simplify and increase inspection capabilities for the U.S.D.A inspector. Water powered (operates on plant water pressure – 20psi minimum). Available with or without seat (three height positions on seat with seat adjusting 5″ vertically independently). 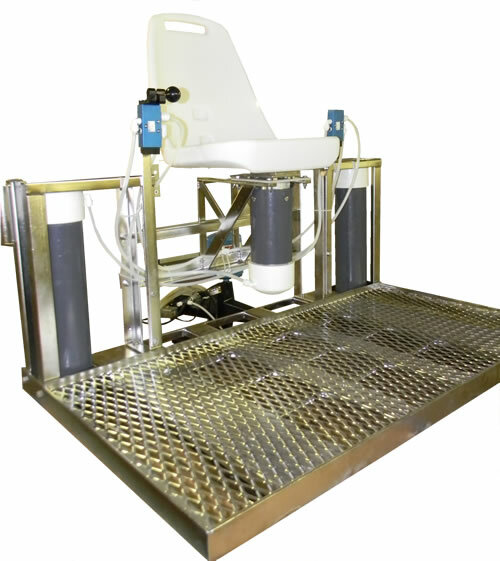 Large 24″ x 48″ Inspector’s platform. “Sure-LOK” slide adjustment, allows operator to slide to or from with ease. 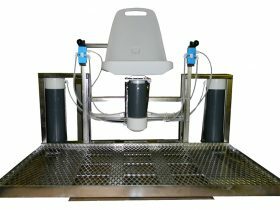 Featuring all stainless steel construction, the SIP – 1700 has a 24″ x 48″ platform powered by PVC cylinders operating on plant water pressure giving a 14″ vertical adjustment. The U.S.D.A. 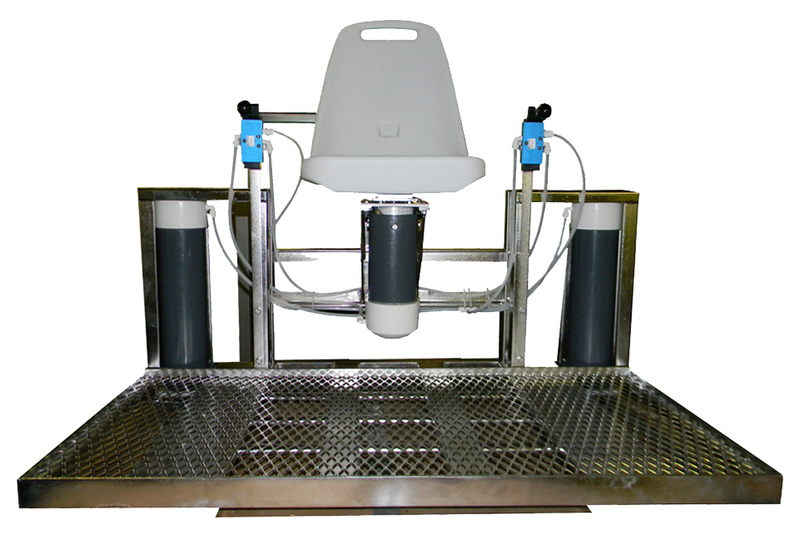 inspector can more easily do his job from a stool or from an optional comfortable polyethylene seat. The seat has removable cushions for a more thorough wash down.